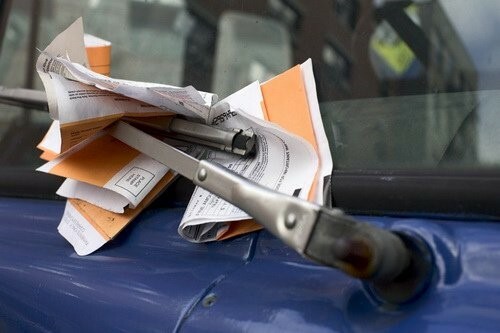 For people new to Australia, driver beware – as you won’t believe some of the things drivers can be fined for! Be prepared for an on the spot fine if you have your pet cat or dog on your lap, or even for forgetting to close your car windows when you get out! Did you know that a horn toot ‘goodbye’ can be lead to an infringement notice? Cars operate in a similar way all over the world but the differences from country to country and indeed in Australia from state to state or territory, must be taken on board. Australia’s system of government reflect British and North American traditions, for this young democracy road rules only became standardised in 1999 with all states and territories enforcing a largely similar set of regulations. This means basic driving regulations are the same but it is up to all drivers in Australian roads to familiarise themselves with the road rules. Australia motorists drive on the left-hand side of the road which is fine if you are from the UK, Japan or China. Even so, don’t pick up a hire car in the middle of a city rush hour and expect to get it right first time! Roundabouts have been used to save lives and prevent injuries for years. Research says that roundabouts reduce the incidence and severity of crashes, as well as injuries, in comparison to the crashes that occur at intersections. As Australians drive on the left, traffic goes clockwise around the roundabout. When approaching a roundabout you need to give way to vehicles already on the roundabout that is, coming from your right. You need to be in the appropriate lane if turning left or right and indicate accordingly. 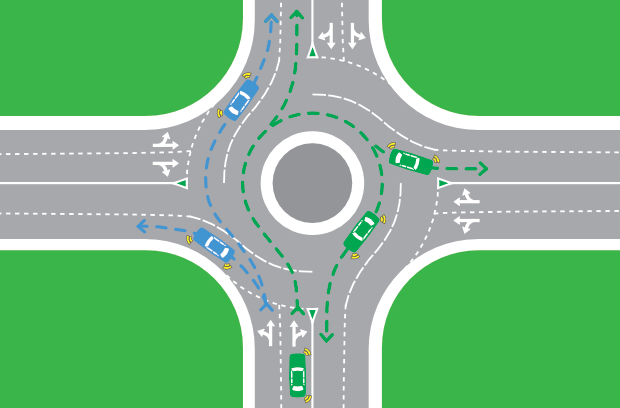 If going straight do not signal as you approach the roundabout but signal left after you have passed the exit before the one you want to take and exit the roundabout in the same lane you are in. If you are turning right signal right as you approach the roundabout in the right hand lane then signal left after the exit before the on you want to take. Some Australian’s don’t know the rules as some states have only changed the rules in recent years on exiting and entering, so beware of the roundabout kings! You will get a few surprises here as some schools have different times in which to slow down your speed. Drivers must obey the school zone speed limit which is usually 40km/hr. Most school zones in New South Wales and Victoria, operate from 8.00am to 9.30am and from 2.30pm to 4pm on school days. But beware there are different speed zones in different states. In the Australian Capital Territory school zone speed limits are 8am to 4pm and will have these times in red on the school zone sign. In South Australia drivers must slow down to 25km/hr at children’s crossings in designated school zones. Get caught queuing across and intersection in a school zone and you’ll be hit with a fine as well as two demerit points! Speeding is a major problem on Australian roads, with a large majority of crashes being speed related. Speed limits are heavily enforced in Australia specifically around peak holiday and travel times with fines and double demerit points during these periods. As a driver you incur demerit points against your driving licence, if you accumulate 12 demerits in a three year period you could lose your licence. Also if you exceed the speed limit then police have the power to take away your driving licence on the spot. Speed limit rules vary from state to territory but the maximum speed for the vast majority of Australian dual-lane carriageways is 110km/hr. All residential zones are 50km/hr unless signed otherwise. Suburbs and across towns have a speed limit of 60km/hr or higher. At the moment the four highways in the Northern Territory have 130km/hr zones. All major roads and freeways are clearly signed. Being watchful to speed limits is critical, as one road stretch particularly in the suburbs may have several different speed zones. In some areas limits are adjusted for bad weather and more often than not the overhead electric signs flash new speed limits. Even though some drivers have to cross vast stretches of the outback, Australian’s cannot drive as fast as they want! Roads can be treacherous with a lot of roaming cattle or kangaroos, giant trucks and challenging weather. All states operate a sophisticated speed detection equipment including mobile and static speed cameras as well as hand held laser and radar guns. Police also sit beside freeways with the intent to catch speeding motorists. Any fine incurred in Australia is the responsibility of the driver and if they are a foreign national the fine will be mailed to their home country address! Gone are the days when you could drive on a toll road and pay cash at the collection point! In Australia all toll roads are operated on a cashless tolling system, called an E-way tag which when obtained is fitted to the front window screen and is encoded electronically. For short visits to Sydney you can get a pass such as the Roam Express Visitor’s e-PASS. For short visits and infrequent trips to Sydney you can get a Beep’N Pay tag. You are likely to encounter toll roads if you are driving through Metropolitan Queensland, New South Wales and Victoria. Some motorways, bridges and tunnels in or near Brisbane, Sydney and Melbourne also require payment of tolls. All tolls need paying within a few days of using the road. Many major car rentals companies have now partnered with the Road Traffic Authorities to include the cost of tolls, but it is your responsibility to ask, as you still may need to set up an e-pass, especially if picking up a motorhome. Any unpaid toils will incur an administration fee in addition to the fee owed to the tolling company. Make sure you have a valid licence to drive in Australia! 5. Mobile Phones – No texting! Stop it or Cop it! A mobile phone may only be used while driving if it is secured in a commercially manufactured mounting, or an inbuilt design in the car via Bluetooth technology. The designed mounting must be fixed to the vehicle so as to not obscure the driver’s view of the road. It is permitted to be used if the driver does not touch any part of the phone for example, through voice recognition or the integrated Bluetooth technology. Learners and drivers with Provisional licence – P1 plates, cannot operate phones at all which means no listening to music, browsing the internet Facebook, email, text and chat. Holding the phone in anyway either in a hand, on a lap, between the ear and shoulder is banned. A hand held mobile phone may not be used when a vehicle is stopped in traffic or at traffic lights. If you need to check your messages you need to stop and park the vehicle in a safe place that will not endanger others. Drivers are only permitted to handle the phone if passing it to a passenger or when the vehicle is parked in an authorised parking spot. Drivers may use the navigational GPS function and audio functions of a phone while driving, provided the phone is in the secured fixed mounting. 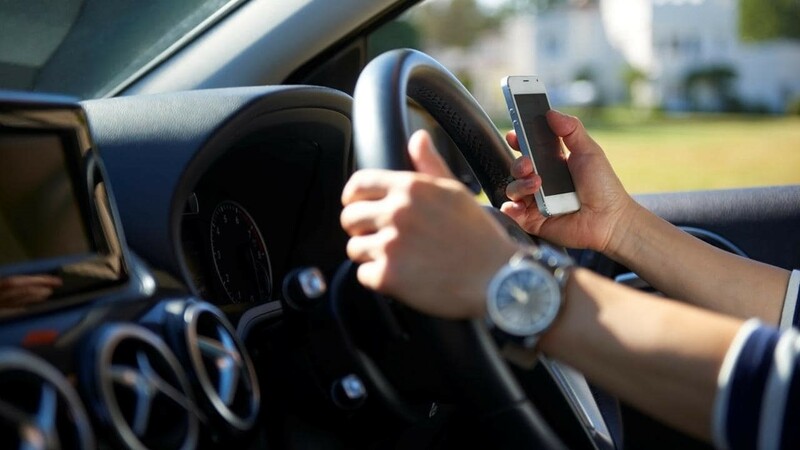 Penalties for using a mobile phone while driving have been increased from three to four points for the first offence and double demerit points apply during all double demerit blitzes when police are targeting seatbelt or speeding use. Watch out for those red Post boxes! 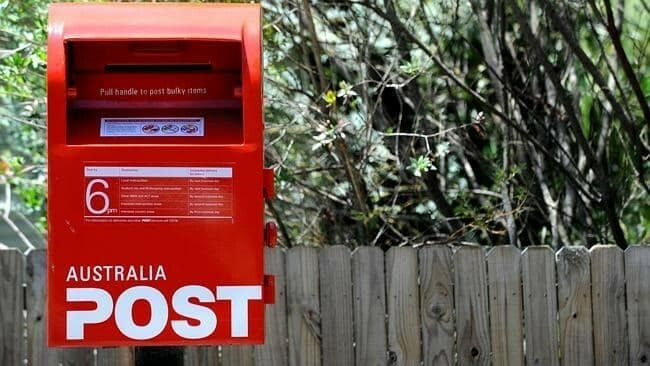 Unless you are dropping off or picking up a passenger, or posting mail you cannot stop within 3 metres of a post box. Also a driver must not stop within one metre of a fire hydrant, fire hydrant indicator or fire plug indicator. Another to watch out for is the Window Gap Rule! No matter how hot your car is, in Queensland you cannot leave your vehicle ‘unsecured’ and if you are more than 3 metres away from your vehicle it is unlocked, or has keys in it or has the windows wound down more than 5cm, you could be fined. A similar rule applies in NSW too. Parking signs can specify multiple times, durations and restrictions in a shortened form on a single sign. The letter P means parking is permitted for the time specified e.g. 1P or 2P means a vehicle can be parked here for one or two hours for free. If it mentions tickets or fees payable then you must pay. If times are shown you can only park between those specified times. Arrows pointing to the left or right, indicate that drivers may park to the left or right of the sign along with the designated restrictions. Parking on the left hand side of the road with the vehicle’s nose facing the direction of travel is required, as well as being well clear of all traffic. In the hot Australian climate, preferring to wear flip flops/ thongs or even going bare feet, to keep cool or for convenience after finishing at the beach, is a uniquely Australian trait. 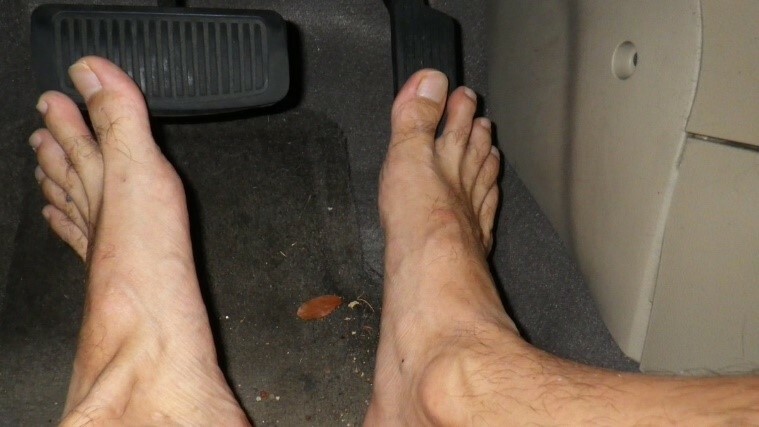 Whilst instinct tells that high heels or loose fitting slippery shoes are dangerous for controlling the foot pedals it therefore makes sense that it is much safer to drive bare foot. Amazingly across Australia there are no rules saying it is illegal to drive in flip flops or barefoot. Indeed, it is deemed much safer to drive bare foot rather than wear flip flops. But take head to place footwear under another seat so that they do not fall under the accelerator or brake pedal. Yet if you are driving irrationally or are not in proper control it is up to the discretion of the police officer who might pin it on to foot ware and cause you to be fined. So it is not illegal but you could be booked! 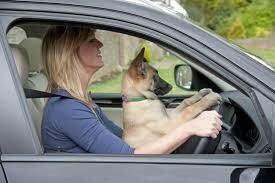 It is illegal for a driver to allow a pet or your child sit on their lap, as the driver will to not be fully in control. Animals must also not be between the handlebars of a motorcycle and dogs on Utes must be restrained with a lead or cage to avoid falling off the vehicle whilst it is moving. Pets need to be next to the driver or on the car floor. 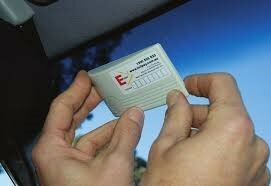 The penalty in New South Wales for example is a fine of $400 and 3 demerit points. Also the RSPCA can give a fine of $5—if the dog is not on tethered. Even greater fines up to $5000 can be issued under the Prevention of Cruelty to Animals Act, with a 6 month prison sentence, if the animal is injured because it is unrestrained. There is no rule about a dog riding secured in front passenger seat but caution must be exercised as the force of an airbag, if deployed, will seriously injure or even kill a dog. There are two main types of pet restraints. There are harnesses that attach to existing seat belts and pet creates. These transport box shaped containers can be secured within the car and should always be big enough to allow the animal to sit erect and stand or to lie down comfortably inside the container. Children and babies must be restrained in an approved safety harness, capsules or booster seat and in some states up to 7 years old. In New South Wales, children under 4 years old are not allowed to sit in the front of vehicle which has two or more rows of seats. Just as your pet must not be allowed to be loose and stick its head out of a window so to must your body parts not be out of the car. Resting your elbow on the window ledge if the car is moving will result in a fine and 3 demerit points. Throughout the whole of Australia you are not permitted to drive a car if your blood alcohol level is 0.05% or higher. For drivers with a Provisional licence, both P1 and P2 plates, the blood alcohol level must be zero when driving. 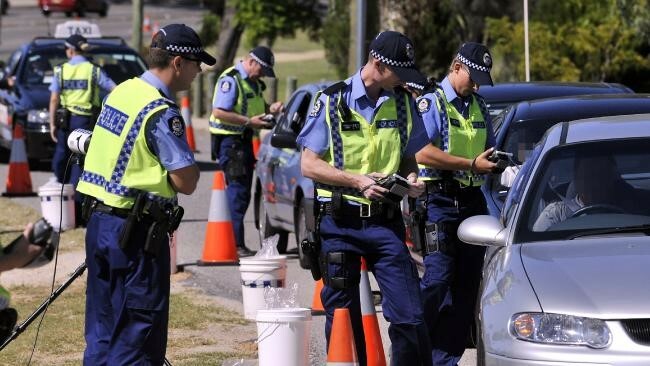 Random alcohol and drug tests are conducted by the police, if caught driving under the influence of alcohol or drugs a first offender will get a fine and a period of driving suspension. Refusing a random breath test or refusing to provide a sample of blood for the purpose of alcohol testing is a serious offence. Based on how high your reading is, a court will determine the fine. Fines of up to $1100 if the blood alcohol level is between 0.05 and less than 0.08 and first offence For certain drink driving and excessive speeding could mean an immediate loss of licence. Drivers who commit a very serious drink driving offense must have an alcohol interlock, breath-testing, device fitted to their vehicle for a certain period of time at the end of their licence disqualification. An alarm will go off at random times in the car and the driver has to pull over and blow into the machine, to show he has not had alcohol. If alcohol is detected the ignition is locked and prevents the driver from operating their vehicle. It is an offence to flash your lights to warn oncoming vehicles of a police vehicle further up the road. 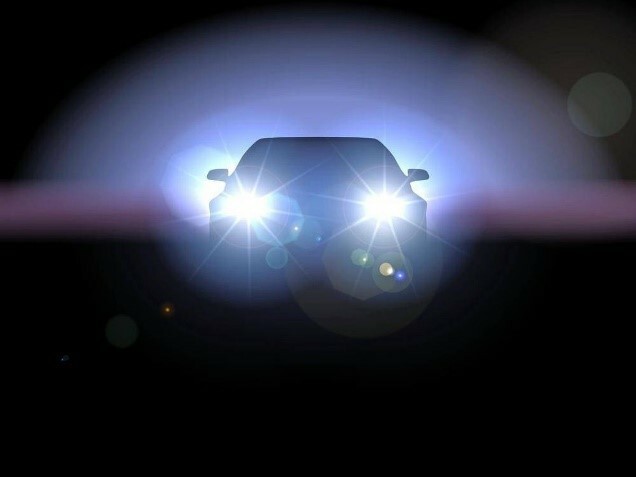 Whether you pass a police, mobile speed, drug testing unit or alcohol testing unit, flashing your headlights to alert others means you could get fined unless you are flashing to respond to an emergency. Tooting your horn to wave to a friend or the beep to say goodbye is an offence. Officially you are only supposed to use your horn as a warning device to warn other road users or animals, of the approach or position of the vehicle. Use of a horn is permitted as part of an anti-theft device or an alcohol interlock device which has been fitted to the vehicle. Australian Driving rules say that the car horn must be audible and reachable by the driver, only having one note and must not sound like a whistle, siren or bell. Car horns that play a tune and are a distraction to other drivers may cause and accident as well as annoy the neighbours!